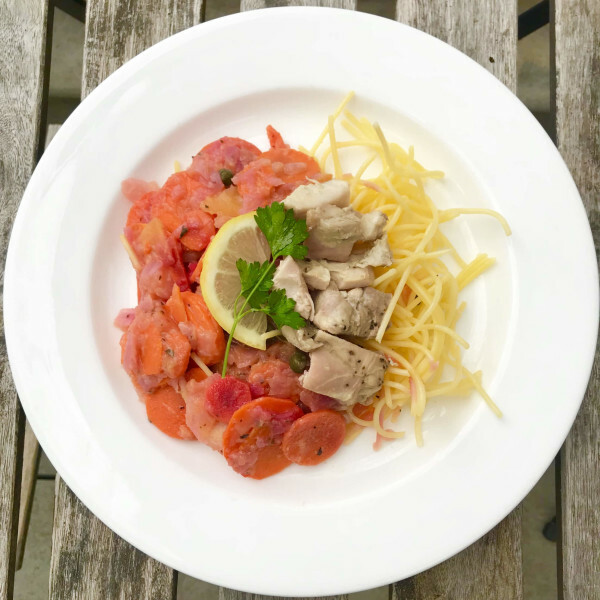 A lemon flavored, organic chicken dish served with a brown rice pasta, capers and crisp carrots and red onions. 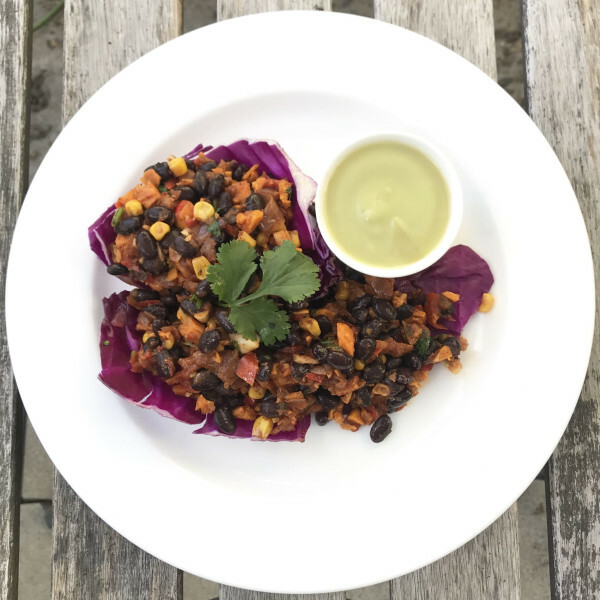 A savory, hearty and filling vegan option that is loaded with tons of color and healthy boosting fiber. Vegetarian (May contain dairy or eggs). Vegan (No animal protein). 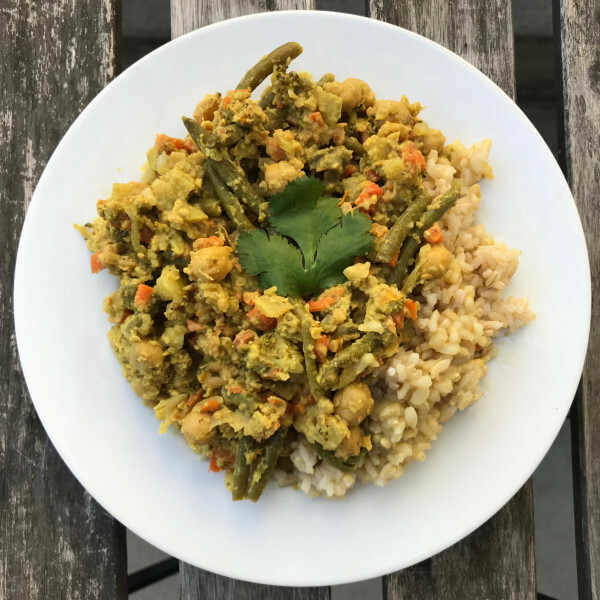 This delicious Indian vegetable korma is loaded with green beans, carrots, tomatoes and broccoli covered in a creamy vegan sauce. Packed with protein from organic chicken breasts, white beans, veggie goodness and topped with optional side of jack cheese! A colorful and delicious blend of crunchy veggies including sweet potatoes, red peppers, fresh corn, cilantro, and red onion. They come wrapped up in a crisp purple cabbage shell with black beans and a side of our vegan avocado cream sauce. Vegan (No animal protein). Vegetarian (May contain dairy or eggs). Have with (or instead of) any entree. Together, they are about 300 calories, a mini meal or heavy snack. Add 122 calories and 17g protein per serving of organic roasted chicken! Add 120 calories and 12g protein with 2 hard cooked eggs! Vegetarian (May contain dairy or eggs). A new hearty, hot vegan breakfast loaded with flavor and super foods. 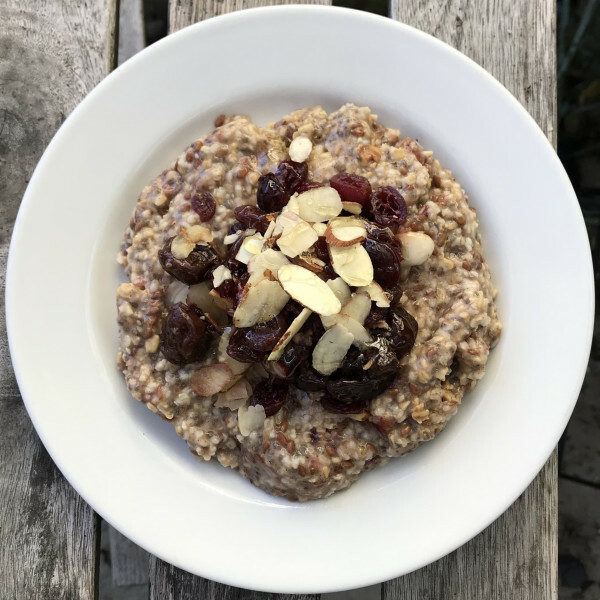 Our steel cut oats are the perfect warm breakfast to start your day. 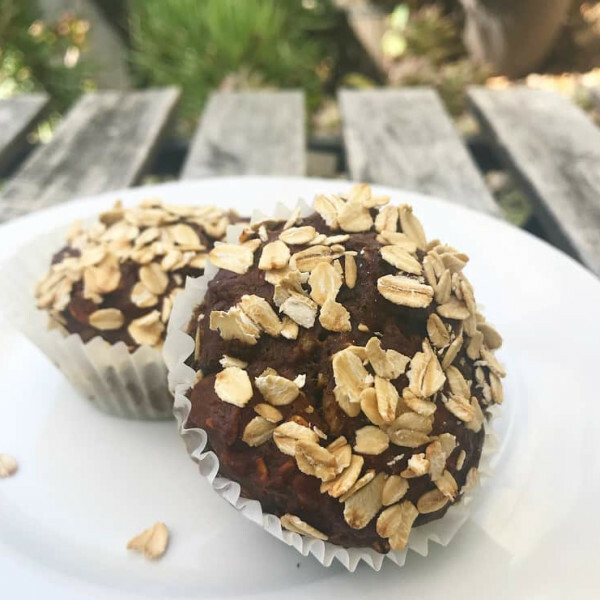 This is a miracle muffin loaded with plant based chocolate protein, fresh banana and crunch walnuts and lightly sprinkled with raw oats. 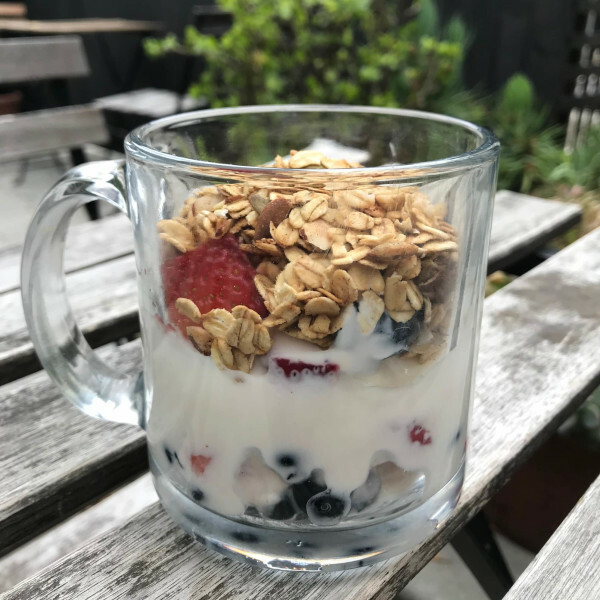 Slightly sweetened yogurt topped with fresh berries and a homemade CCK clean and crunchy granola. Vegetarian (May contain dairy or eggs). Contains Dairy. 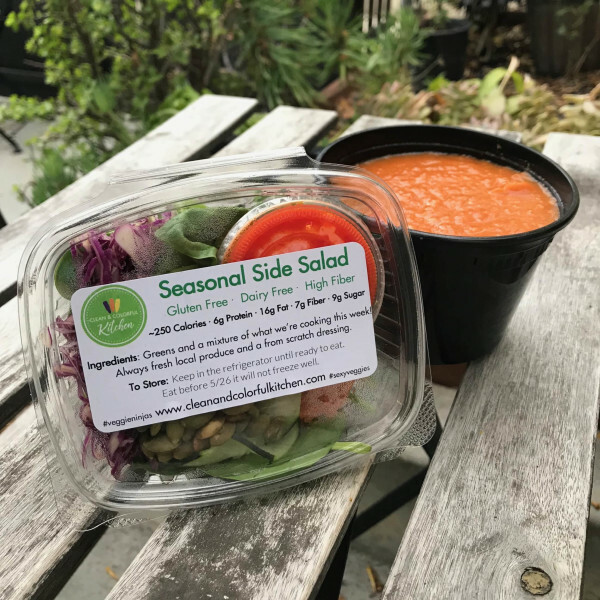 Our seasonal soup and salad combo is available each week as an entree option. 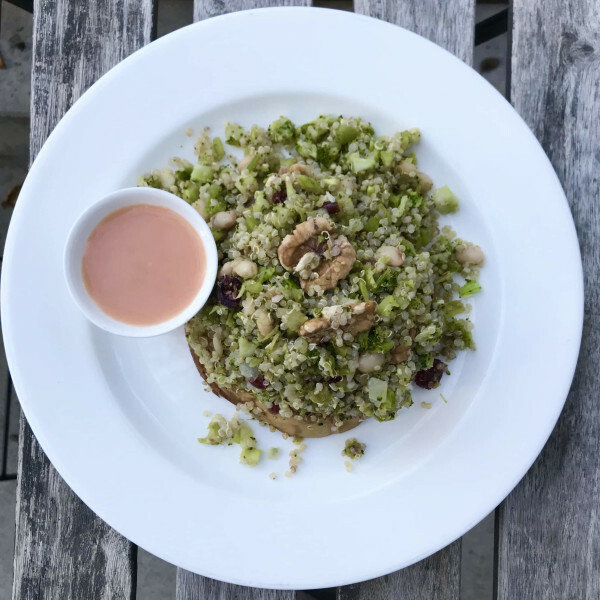 Ingredients and dressings will vary based on what we are cooking each week. Together, these veggie heavy menu upgrades make the perfect lunch or dinner. 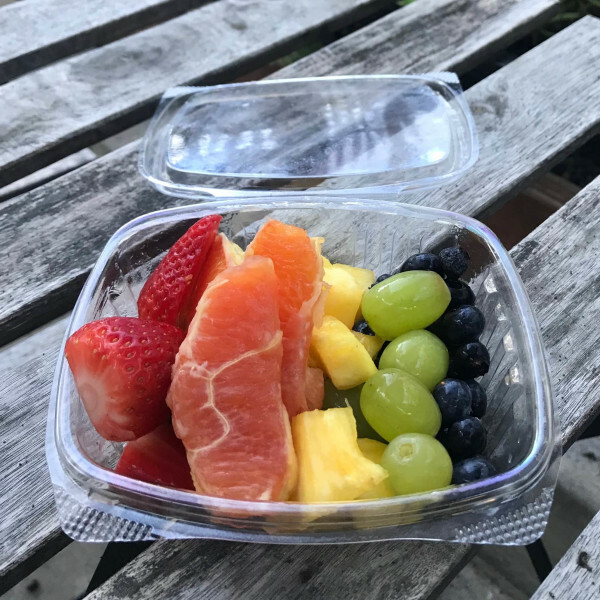 Rainbow fruit salad features seasonal fruit from just about all the color groups! The exact fruits may vary based on the season to ensure you get the best flavor and nutrition. 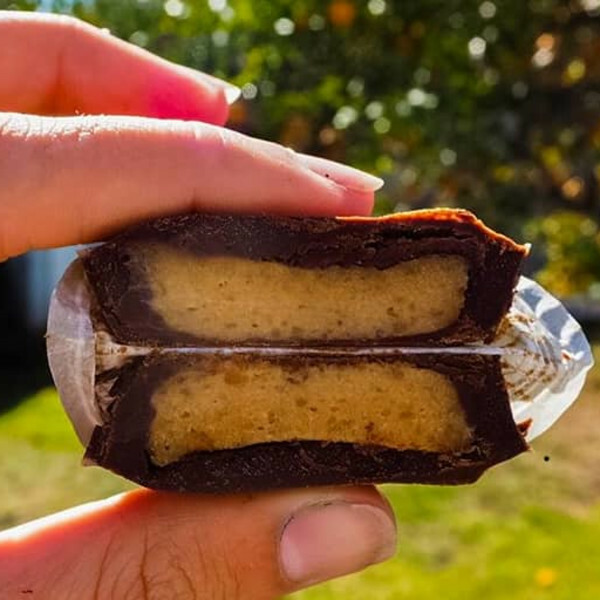 A cookie so clean, you can eat them for breakfast! 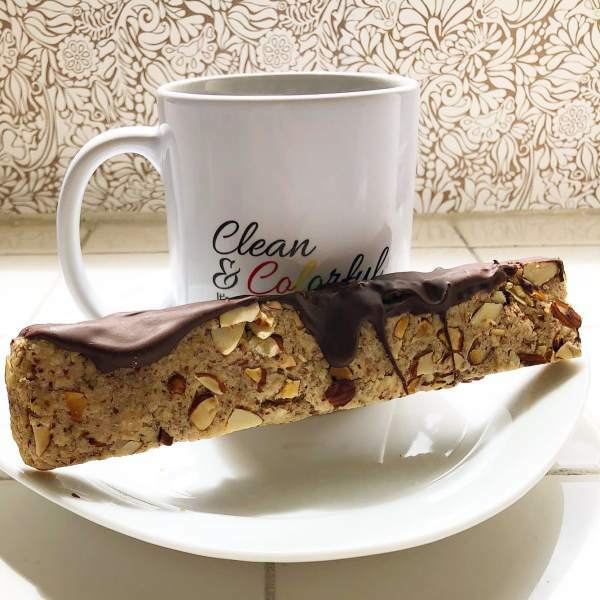 Our CCK Clean Cookies are a fan favorite and no available as a solo purchase. 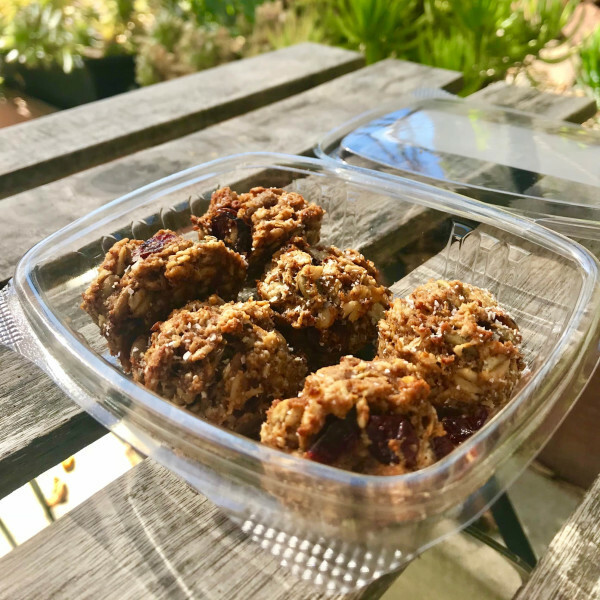 This hearty 3.5 oz portion of cookies is and are made from scratch using only whole ingredients and include zero added sugar. 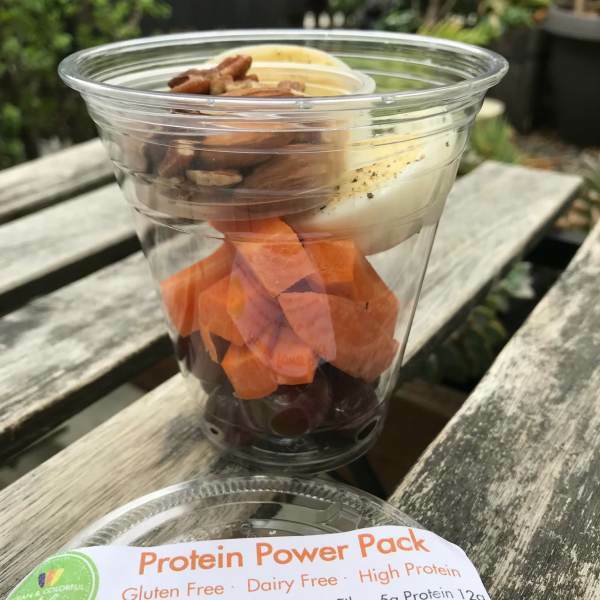 A freshly prepared grab and go power pack loaded with local carrots, red grapes, crunch almonds and walnuts and a peppered hard boiled egg. 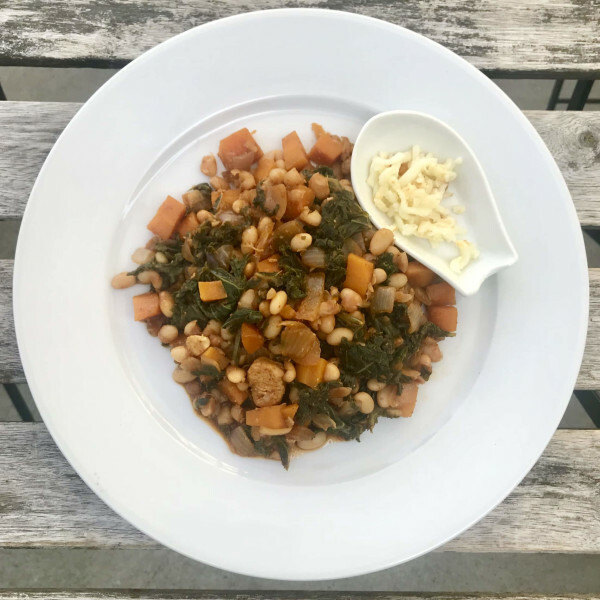 Our soups make a perfect snack to tie you over in between meals or even serve as a light lunch or dinner when paired with one of our Seasonal Side Salads. You will receive 5, 16oz bottles of soup. 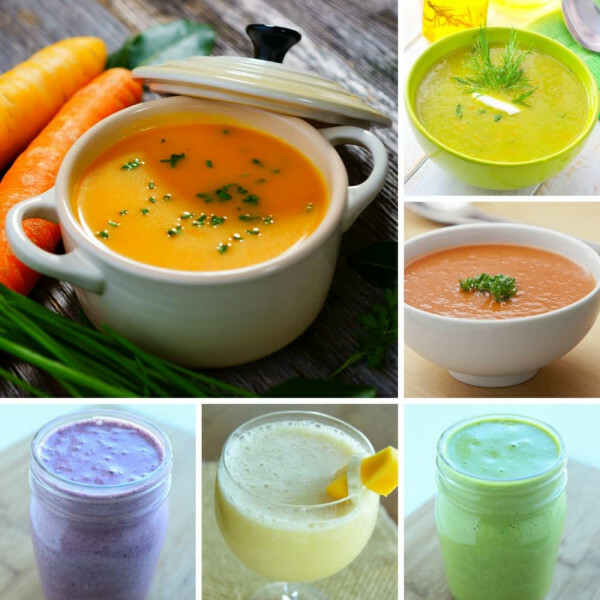 All our soups are made from fresh ingredients, cooked and pureed in our kitchen. Our side salads are the perfect partner to any of our meal plans. 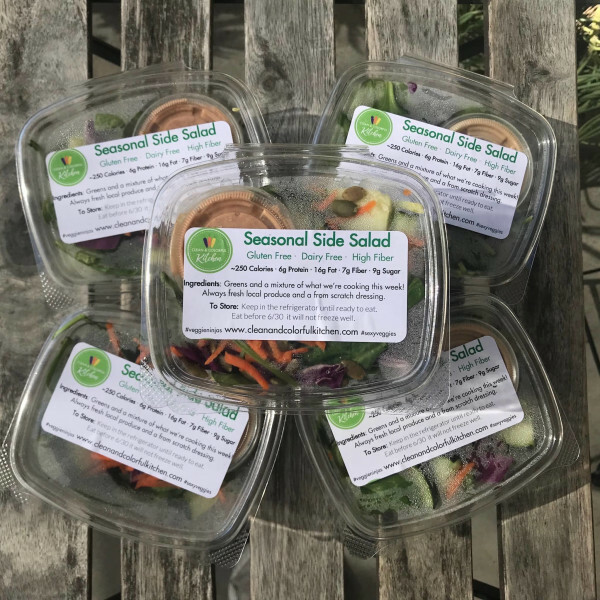 You'll get 5, 16 oz Salad Cups loaded with fresh greens, veggies and a signature CCK dressing of the week! With a 5-Pack of CCK Smoothie bags you are 10 seconds away from the perfectly blended smoothie. 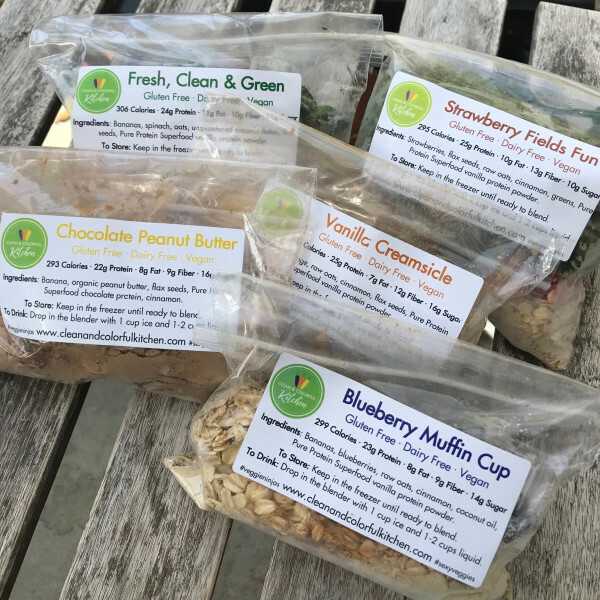 They are all vegan, gluten and dairy free and loaded with protein, super foods and local produce. 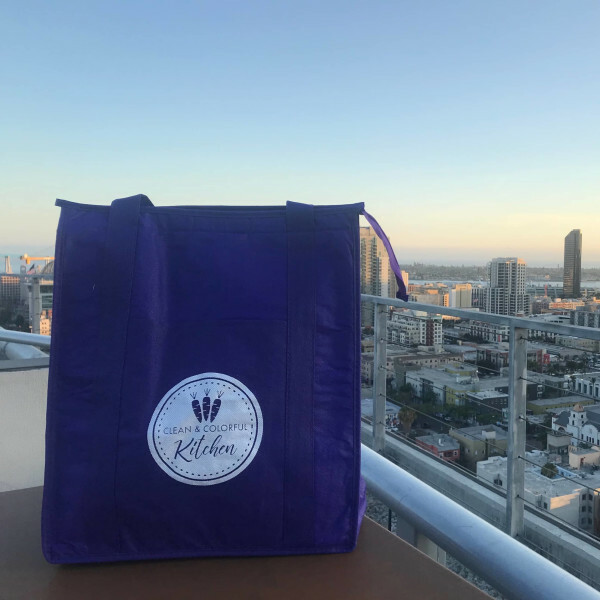 They are of our completely unprocessed and made from scratch and you’ll receive a variety of colors (flavors) each week. Crunchy and chewy chocolate almond biscotti from Blossom Bakery. So yummy, no need to tell anybody it's vegan and gluten free! Vegan, gluten free and oh-my goodness, delicious! This decadent dessert comes with 2 peanut butter cups to enjoy! 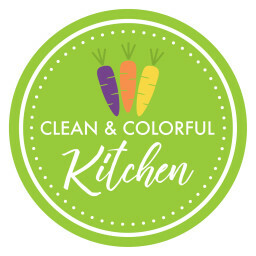 Thank you to the Sweet & Soulful Chef for creating such clean, delicious treats! Another delicious vegan, gluten free & clean treat from the Sweet & Soulful Chef. 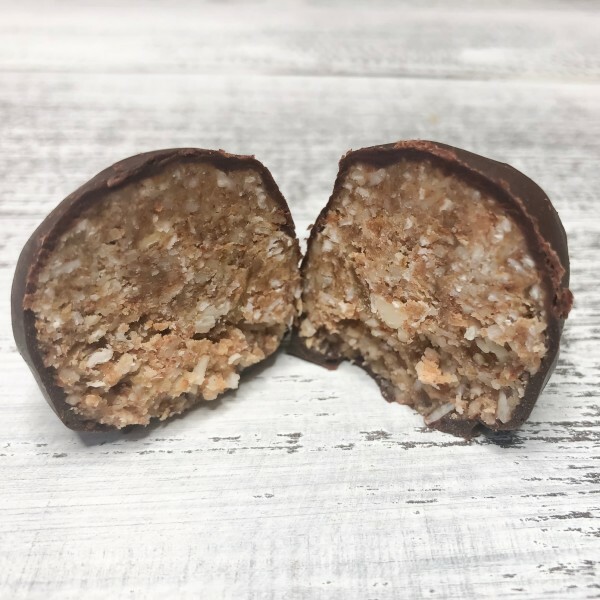 These two coconut balls are made with clean ingredients and are the perfect way to satisfy a sweet tooth! 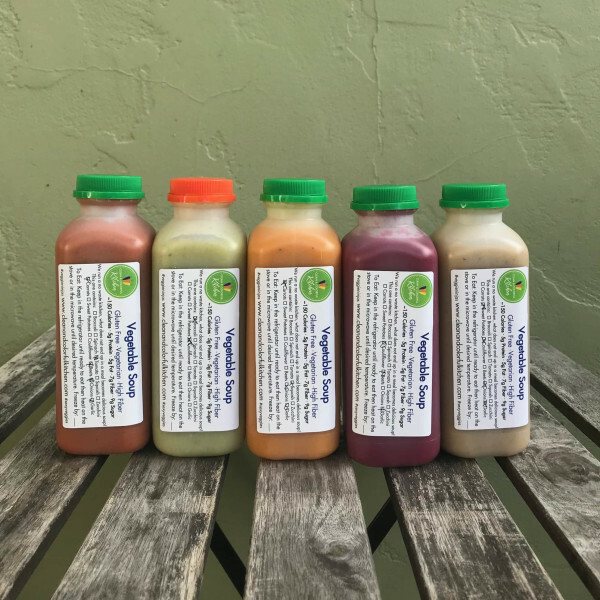 Our liquid detox is 100% plant based, gluten, and soy free and full of blended plants so your body has easy access to nutrient dense, high fiber soups and high protein smoothies. Each day consists of 3 smoothie bags and 2 soups and about 1200 calories, 65-80g protein and 30-40g fiber per day. Select the number of days you want by clicking the + number to the right. Need your meals to stay cooler in transit? Order one of these and we'll pack your meals up in it and your meals can stay cooler up to 50% longer! Each bag easily holds 13 entrees. These "glastic" water bottles come with the convenience of plastic with the purity of glass! 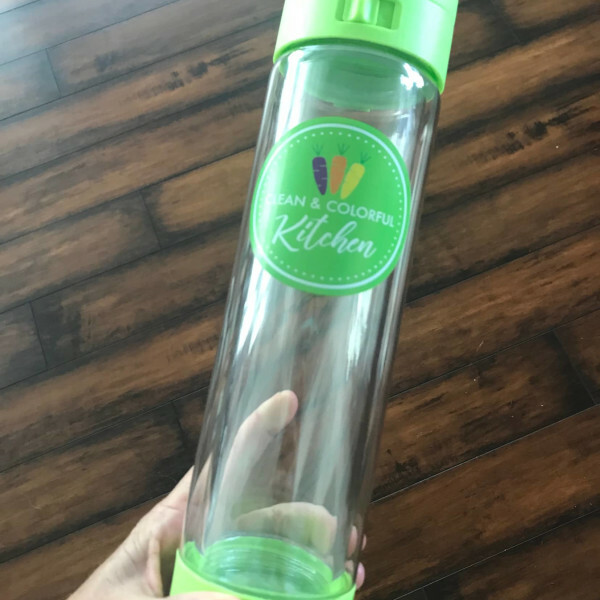 They are shatterproof, eco-friendly, leak and BPA/Toxin Free! We expect to have them in inventory by mid-August. We didn't order that many, so secure yours and order now! 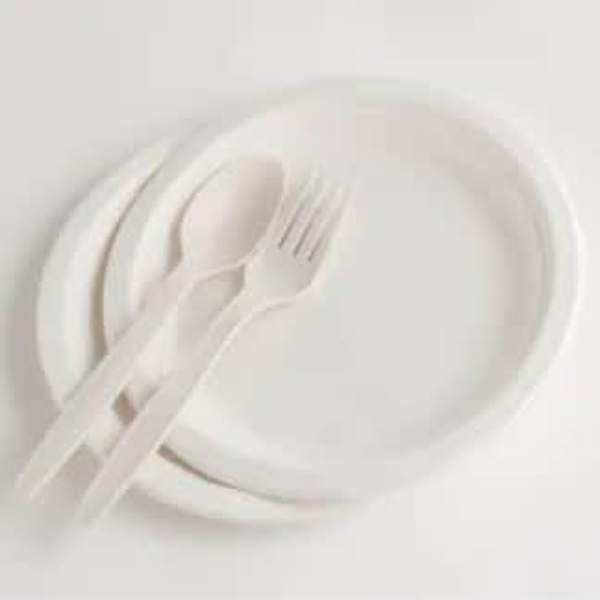 If you ordered a family or party portion and would like to dish it out in single serve, be sure to add napkins, plates and forks to your order!